Home random Just a Quickie! 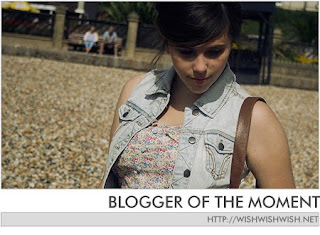 I just wanted to do a quickie post and say Congratulations to WishWishWish.net who is Modcloth's Blogger of the Moment! She got the honor of having the cutest dress named after her. I will admit I'm a huge fan of WishWishWish and she introduced me to Modcloth which is now my favorite site to shop at :) So Congratulations! Please go check out her site! And also check out Modcloth- I guarantee you'll fall in love with their clothes!